Private Petra day tour options from Eilat or Israel. 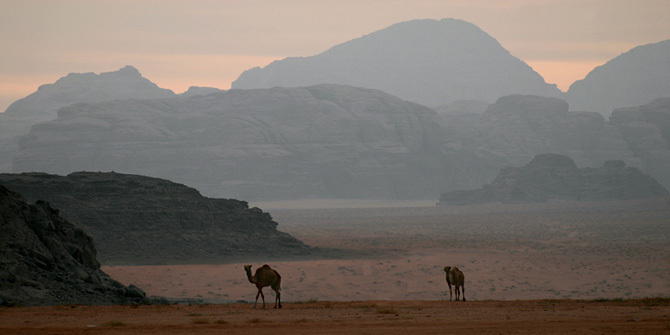 Incl the Monastery and Wadi Rum options. 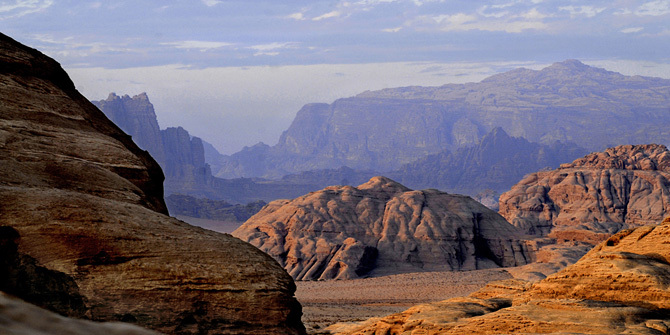 high place of sacrifice and Wadi Rum options. The tours can be arranged from Jorda or Cairo. himselfand stand before Him fearlessly, their minds in resplendent consubstantiality with the skirts of the Lord. We take your passport details before the tour and arrange the visa for you. You receive it at the border on the day of your trip. The visa costs $60 for visitors to Petra and there is a further $65 charge for the border taxes and tips so the total border fee on the day is $125 (or $133 if paying by credit card). 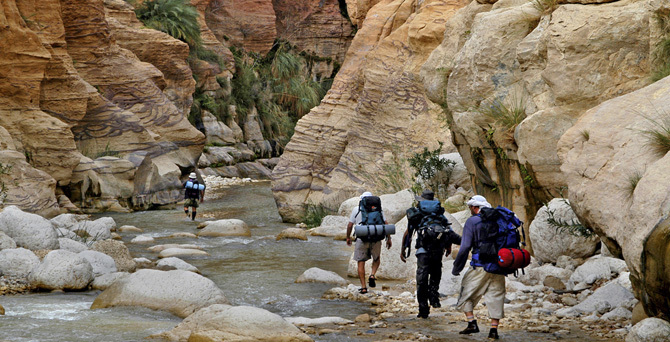 We suggest spending the night before the tour at one of the hotels in Aqaba, this allows an earlier start to the Petra tour the morning after and a more comfortable start to the day. The hotels rates are significantly lower than in Eilat and we include all transport from Eilat to each hotel in Aqaba, including assistance with the border crossing. This info page gives you detailed information about our daily private tours to Petra and should answer any questions you have. Please contact us for any additional information. Once aboard the mini bus, you will receive bottled mineral water. Officially it is not permitted to take food or drink into Jordan from Israel, but the Jordanians tend to overlook this rule and small snacks tucked in your bag are rarely a problem. You now begin the two-hour drive to Petra via Aqaba. Your specialist guide will give you an in-depth briefing on the history of Jordan and its culture. Nearing Petra we stop at a viewpoint overlooking the town of Wadi Musa (Moses Valley) and on a mountaintop in the distance we can see a shrine marking the grave of Aaron, the brother of Moses. From Petra’s entrance, the Visitor’s Center, we walk to the Siq Canyon (400 meters). Arabian horses are available free of charge for this stage but a tip is expected from the handlers of (2-3 Dinar or 5 US dollars). We do not recommend using the horses and most people prefer to walk with the guide to the Siq. On the route we see the ‘Silica Quarries’, The Jinn Blocks and the first large site the ‘Obelisk Tomb’. At the entrance to the Siq is the stone damn that protects Petra from floods and the ancient drainage channels of the site. Entering the Siq we see the remains of the Arch which marked the entrance to Petra. We also find here the beginning of Petra’s ingenious water system that runs the whole length of the Siq. Within the Siq we see several deities and ancient carvings adorning its towering canyon walls. At the end of the Siq is Petra’s most renowned monument, The Treasury (Khazneh). Here we take a few minutes for photographs before continuing our tour along the impressive Street of Facades towards the Nabatean Theater. We see the Royal Tomb and if time allows, we walk along the Colonnade Street and visit the Great Temple. From here we retrace our steps and make our way back to the bus. We leave the site and stop at a nearby restaurant in Wadi Mussa for a hearty buffet lunch which is included in the tour price, remember that drinks are not included with such meals (as is standard practice). We commence our return to Aqaba and Eilat. After a short drive into Aqaba for glance at our neighboring town, Jordan’s only port city, you return to Eilat and your hotel by evening. The monastery (Al-Deir), Jabel Madbah and the High Place of Sacrifice can be done on a private tour only. Listed below are some of our private one-day tour options. Private tours, for obvious reasons can run at a faster pace and allow more time for visiting additional places. Sometimes, when time or walking ability is limited, the opposite is required. Often clients opt for a private tour simply to have the benefit of a personal guide and a tour that suits their own pace, their personal interests and their time-schedule. Listed here are five one-day tour variations, they include additions such as the Monastery, the High Place of sacrifice and Wadi Rum, they are our most popular one-day private tour choices. You can use the map as a visual aid. People who wish to travel for a one day tour should consider the option of staying overnight and benefiting from the reduced Petra entrance fees for overnight visitors. A hotel transfer is included in the cost and this option gives visitors the opportunity to spend several more hours inside Petra exploring the site at their leisure. this is similar to the regular Petra tour and is the shortest option for visiting Petra. It is for people limited on time or who require a shorter walking route. The tour includes the Silica Quarries, Jinn Blocks, the Obelisk Tomb, the Siq Canyon, the Treasury (Petra's most famous site) and the Street of Facades. Lunch is taken at a good local restaurant outside Petra, but you may upgrade to the dining room of the Moevenpick Hotel for an additional $25. Following lunch we begin the return journey to Eilat. We collect from hotels at 6:50 am for this tour. Cost: 2 people $760 in total. 3 people $340 each. 4 people $310 each. 5 people or more $295 each. This tour includes the Base Tour above and continues on from the Royal Tombs to the Byzantine Church and then to the Temple of the Winged Lions. We stop for lunch at the main restaurant of Petra which is included in the tour price; you may upgrade to the second restaurant for an additional $20 per person. Following lunch you retrace your steps to the entrance of Petra without a guide (very straight forward) and have additional time for photos etc. We board our minibus and commence our journey back to Aqaba and Eilat. We collect from hotels at 6:50 am for this tour. This tour covers all of the full day Petra tour route (option 2) and also includes a hike up to one of Petra's most spectacular sites, the Monastery (Al-Deir). Following lunch at the main restaurant inside Petra which is included in the price (upgrade available at $20) we begin our walk up to the monastery. The path up to the monastery is very steep with rugged stone steps, it is not an easy walk and the whole monastery visit takes a minimum of 2.00 hours. Local donkey handlers offer their services for the ascent and charge between $12 - $15 dollars. We advise against using them for the walk up, but for the walk back down we simply implore you not to! You'll understand why when you see them in action. This is a particularly long tour and it is not available on Fridays and Saturdays because the border crossing opens late on these days (8:00am as opposed to 6:30 am). In the event of unforeseen delays, or for any other reason we are forced to cancel the monastery visit, we will provide the Full Day tour instead (option 2) and refund the difference in the cost. Should time be an issue during the tour, rather than eating at the restaurant, you will be provided with a packed lunch after visiting the monastery. Guides do not normally join clients for the walk up to the monastery*, but instead give simple instructions about the route and meet you again at the entrance to Petra (visitor's center) at around 16:30. This is a superb tour but the hardest of the tour options listed here, it covers a total of 10 km (over 6 miles) on foot. For those who are up to it, it is well worth the effort. We collect from hotels at 6:50 am for this tour. *The hike up to the monastery with the guide is available for an additional $50 (for the whole group, not per person). Cost: 2 people $790 in total. 3 people $353 each. 4 people $320 each. 5 people or more $305 each. Optional: Additional charge for the guide to hike up to the Monastery $50 per group. This tour covers the same sites as the Full Day Petra tour (option 2). 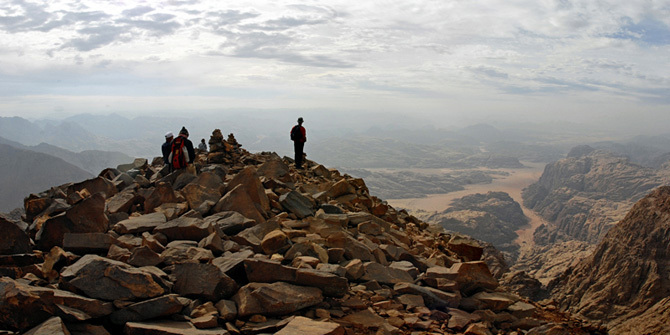 It also includes Jabal Madbah, the High Place of Sacrifice, Qasr Al Bint, the Great Temple and Wadi Farasa. Lunch is included at Petra's main restaurant, a restaurant upgrade available for $20. Although this tour is less demanding than the Monastery tour, it also involves some difficult path walking and has lots of steps, so a reasonable level of fitness is required. This tour day is particularly long and the tour does not run on Fridays and Saturdays because the border crossing opens late (8.00am instead of 6:30 am). We collect from hotels at 6:50 am for this tour. Cost: 2 people $840 in total. 3 people $369 each. 4 people $335 each. 5 people or more $315 each. Beduin scout is incl. on this tour. We tour Petra following the whole route of the Petra Base Tour (option 1). We leave Petra and head to a nearby restaurant for lunch, an upgrade to the dining room of the Moevenpick Hotel is available for $25. 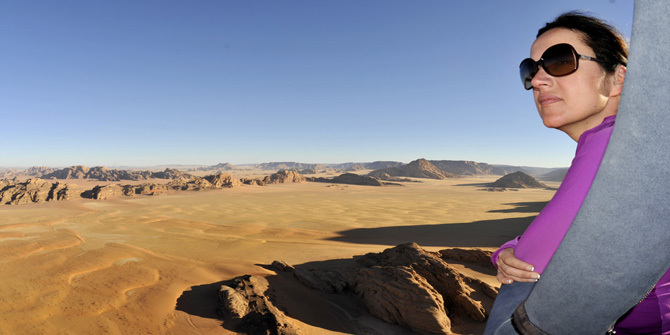 Following lunch we head to Wadi Rum where we enjoy an off-road desert adventure for 1.30 hours during the sunset. 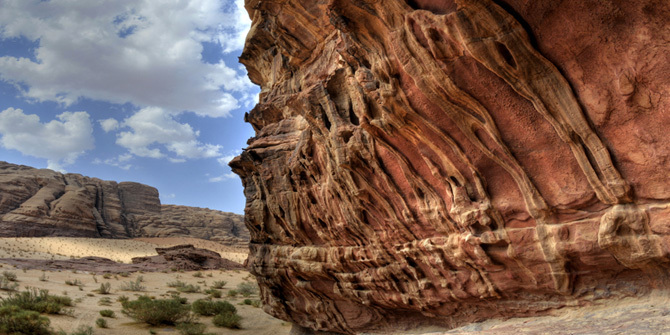 In Wadi Rum we visit the Seven Pillars, Lawrence's Spring and the Khazali Canyon. Wadi Rum is where T E Lawrence fought and where the epic movie 'Lawrence of Arabia' was filmed. From here we return to our vehicle and drive back to Eilat. We collect from hotels at 6:50 am for this tour. Cost: 2 people $915 in total. 3 people $398 each. 4 people $365 each. 5 people or more $345 each. Where lunch is taken inside Petra (tours 2, 3 and 4) there is a choice of 2 restaurants inside Petra. The main restaurant which is included in the tour price is basic and offers a buffet of local food, salads and serves grilled meat. The more expensive alternative available for an additional $24 serves both local and western food (of a fashion) and is cleaner and better presented. We choose between these two restaurants in order to have more time touring inside Petra. Both restaurants are satisfactory and as you'd expect the more expensive one is the nicer. Either way you won't be left hungry, so leave the culinary expectations in Eilat and place your focus on the tour itself. Remember that drinks are not included in the cost of the meal and are paid for directly by the client. Where lunch is taken outside Petra we eat at a modest local restaurant and it is included in the price of the tour. It is a good authentic Jordanian restaurant with a nice choice of buffet salads and grilled meats. You may upgrade to the Moevenpick Hotel for an additional $28, here you get what you'd expect in any good hotel's dining room. All tours in Petra pass the Treasury twice, once on the way in and once on the way out. You may choose to book horse-drawn carriages in Petra for the Siq canyon either on site or through us which is preferable. The carriages can be booked for either one or both directions and cost $40 per carriage per direction, they seat two people comfortably. We advise people considering a carriage to book for the return journey only as there are several interesting sights during the initial walk in and since it's at the beginning of the tour, you probably won't feel you require one at this stage. When selecting your preferred tour, please state if you require a restaurant upgrade. For the Petra Full day with Monastery, remember to indicate if you require a guide for the ascent ($50). most people ascend without a guide and they do just fine, the choice is yours. .Included in the cost, pick up in Eilat from all hotels, the airport, etc., transfer to border and assistance there. A/c minibus in Jordan, guide, lunch, entrance fees, bottled mineral water and an unforgettable tour of Petra. 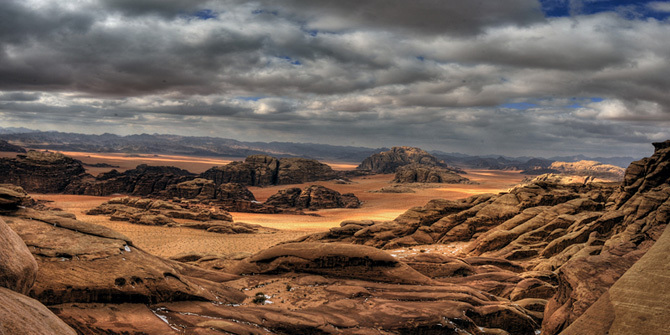 Not included Visa to Jordan- $60, handling and border taxes - $65, tips and drinks with meals. Perhaps having read a little more about the places to see in Petra you'd like to see it all for yourself? 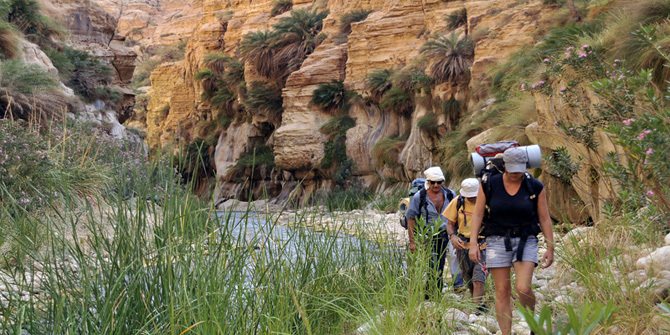 You can do everything listed in the tour itineraries here on a two day tour of Petra. A selection of hotels in Aqaba Jordan for the night before the tour to Petra.